Sermon preached on Hebrews 12:16-17 by Rev. W. Reid Hankins during the Morning Worship Service at Trinity Presbyterian Church (OPC) on 2/3/2019 in Novato, CA. Sermon preached on Hebrews 12:14-16 by Rev. W. Reid Hankins during the Morning Worship Service at Trinity Presbyterian Church (OPC) on 1/27/2019 in Novato, CA. Adult Sunday School class led by Rev. 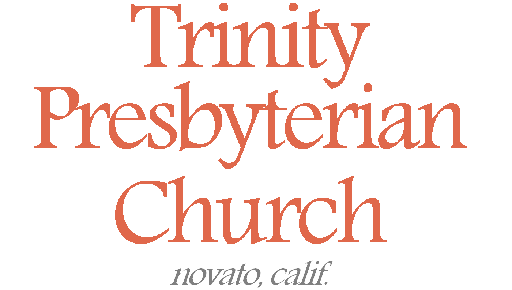 W. Reid Hankins at Trinity Presbyterian Church (OPC) on 03/10/2013 in Novato, CA. This week we continued a series through the Heidelberg Catechism, studying Lord’s Days 35.